We offer a wide range of active travels for Scandinavians to destinations all over Europe, and we organize tours in Denmark for bike enthusiasts from all around the world. Ruby Travel is a part of the privately owned travel agency and tour operator Ruby Rejser, who has been operating for more than 40 years. The keywords are Hiking, Biking & Skiing. Our office is located in Aarhus – the capital of the peninsula Jutland and the second biggest city in Denmark, only 3½ hours by train from Copenhagen Airport. We are a staff of around 20 persons speaking English, French, German, Norwegian and of course Danish. 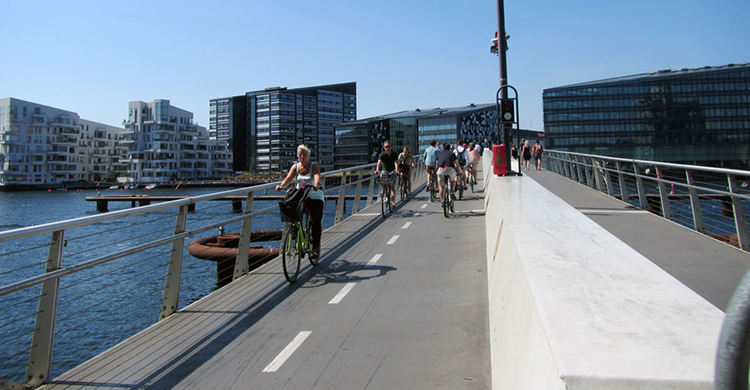 We have carefully selected very popular and bike friendly routes in both the islands of Zealand (Sjælland), with start and end in Copenhagen, and to Funen (Fyn) as well as on the peninsula, Jutland with a sidetrip to the Energy Island of Samsø, with start and end in Aarhus, European culture capital 2017. Common for all tours is that they are moving through absolutely beautiful landscapes with a great variety of rolling hills, deep forests, cosy villages and scenic coastlines. We offer an GPS with full tracks, and by a roadbook with day descriptions, and Hotline service in case of problems. We use Good and comfortable tourist hotels on the route. All tours are possible with rent of Hybrid touring bike without foot brake, or e-bike. For families we offer childrens bike, trailer og child seat. We have tours to fit all temperaments, so just get in the saddle and go.